Angad Bedi had the sweetest message for his mother-in-law Babli Dhupia, who celebrated her birthday on Wednesday. Angad accompanied the birthday post with adorable pictures from his family photo archives."Haanjiiiiii! Happy happy birthday Ji," Angad Bedi wrote. 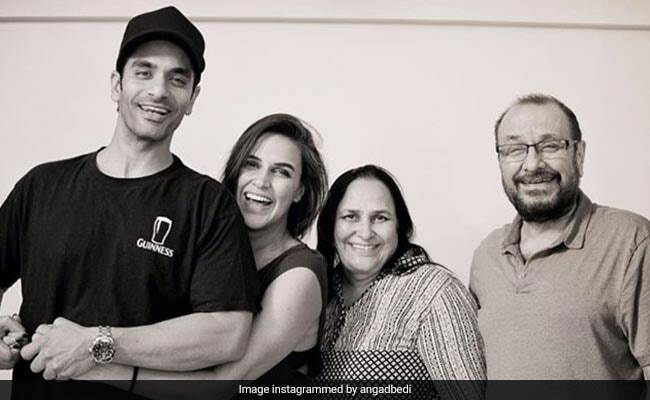 The photo shared by Angad features himself with his wife Neha Dhupia and her parents. Neha also shared a photo of herself with her mother on Instagram. Neha's birthday post for her mother read: "Ma ... you are my most precious." Neha Dhupia, who had hush-hush wedding with Angad Bedi in May, is expecting her first child. The actress announced her pregnancy on social media three months after the wedding. On Tuesday, Angad Bedi's father Bishan Singh Bedi celebrated his 72nd birthday, and his daughter-in-law Neha Dhupia wished him in the sweetest way possible. 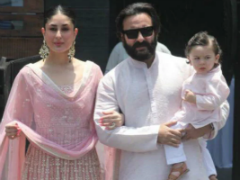 She shared throwback pictures from the wedding featuring Angad with his father. "Happy Birthday Dad. It's such a special day for all of us and so is this picture. Throwback to one of the most special days of our lives. Also what a dynamic duo if I may say so," Neha's post read. #happybirthday Dad.. #BishanSinghBedi ... its such a special day for all of us and so is this picture ... throwback to one of the most special days of our lives... also what a dynamic duo if i May say so! On the work front, Angad Bedi, who was last seen in Diljit Dosanjh's Soorma, has started shooting for his next film The Zoya Factor. The film also stars Sonam Kapoor, Sanjay Kapoor and Sikander Kher. Neha Dhupia is currently busy shooting for the third season of her talk show No Filter Neha. On Tuesday, Neha shared a behind-the-scene picture from the sets of the show and wrote: "Halfway done with season 3 already without breaking a sweat." Neha was last seen in Netflix web-series Lust Stories. She appeared in the segment directed by Karan Johar. She awaits the release of her next film Helicopter Eela, which also stars Kajol.